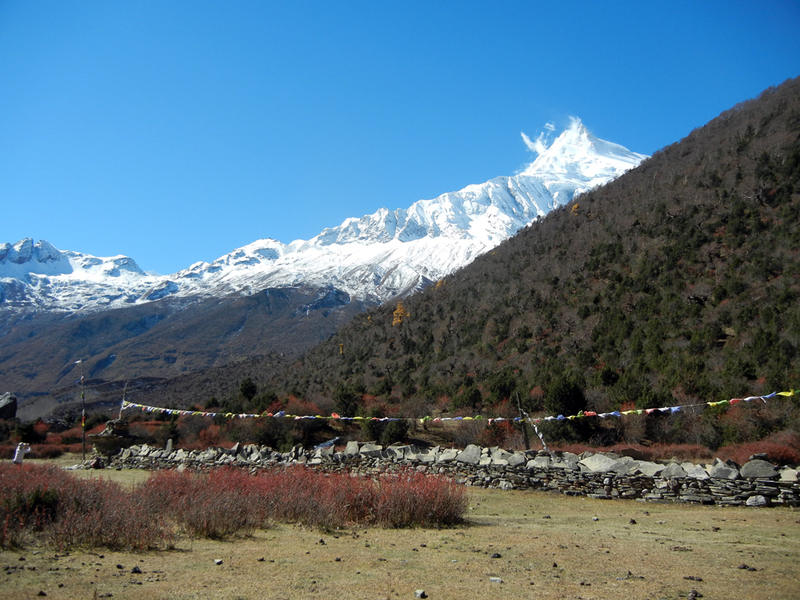 This trek starts in the lowlands in Arughat, where the 19-day Manaslu Circuit Trek usually begins. 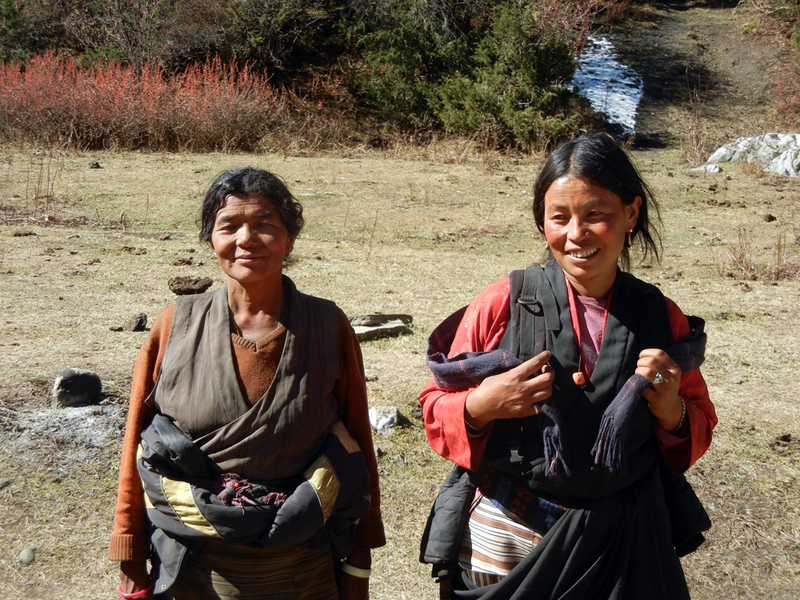 We will hike along the scenic Budigandaki River Valley passing though terraced farmlands, villages and forests. 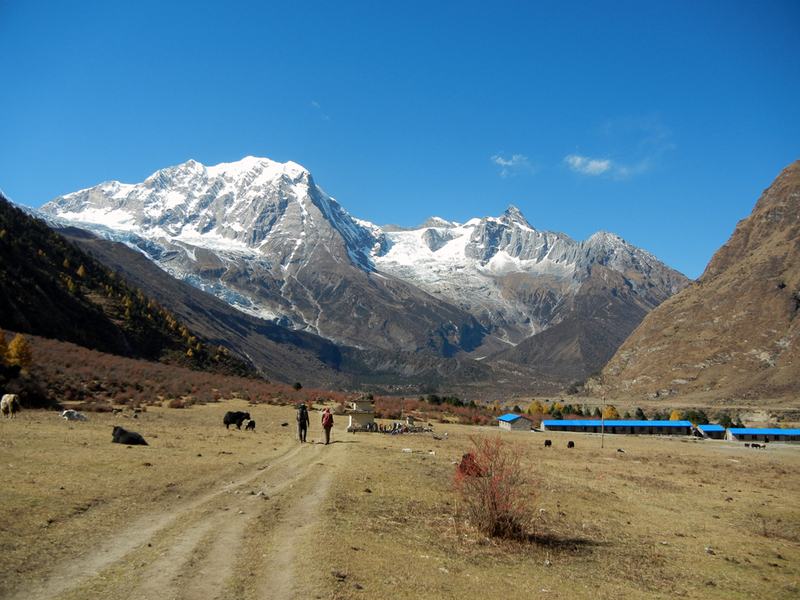 We will hike to Samdo (12,703ft), the last village before Larkya Pass, and then hike back to back to Sama Village from where we will take helicopter flight out to Kathamndu. This program is designed for hikers who do not wish to hike over Larkya Pass. 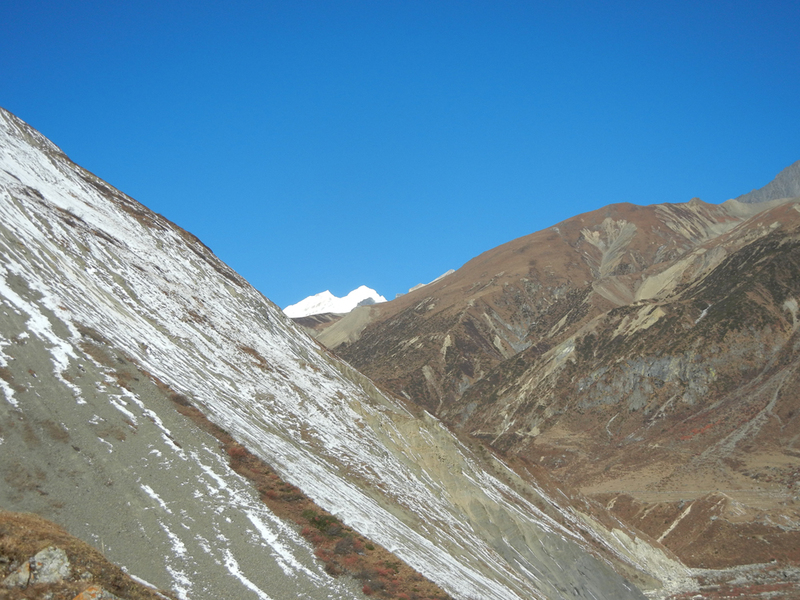 You can see and enjoy the beauty of nature and culture in the Himalaya of Nepal without crossing high altitude passes. This program is also good for people with two-week vacation time. Even if you are coming from sea level, you will be okay to join this journey as we will begin our hike at 1,870ft. We will get well acclimatized as we hike up. Anyone with hiking experience is welcome to join. Hike in and helicopter transfer out plan requires advance arrangement. Overnight stay in local lodge. 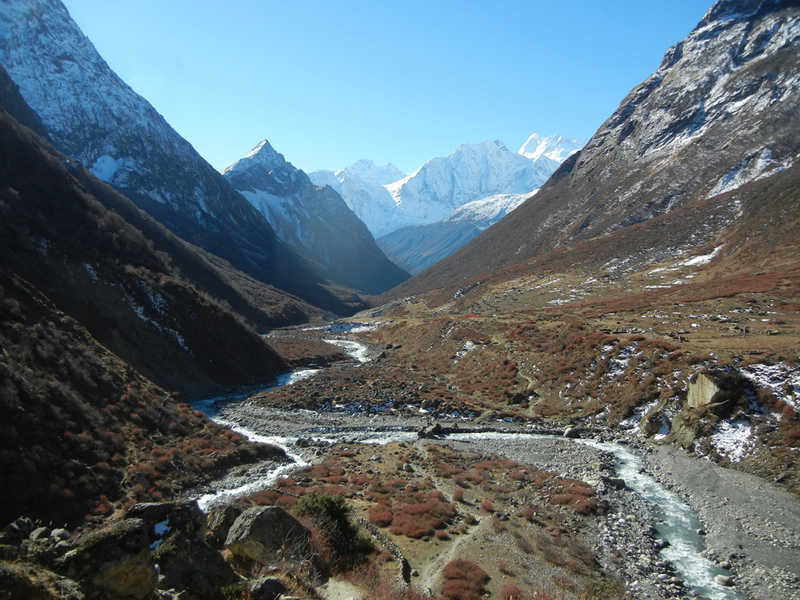 As we progress our hike farther upriver, we will see river carved steep narrow gorges at various points. 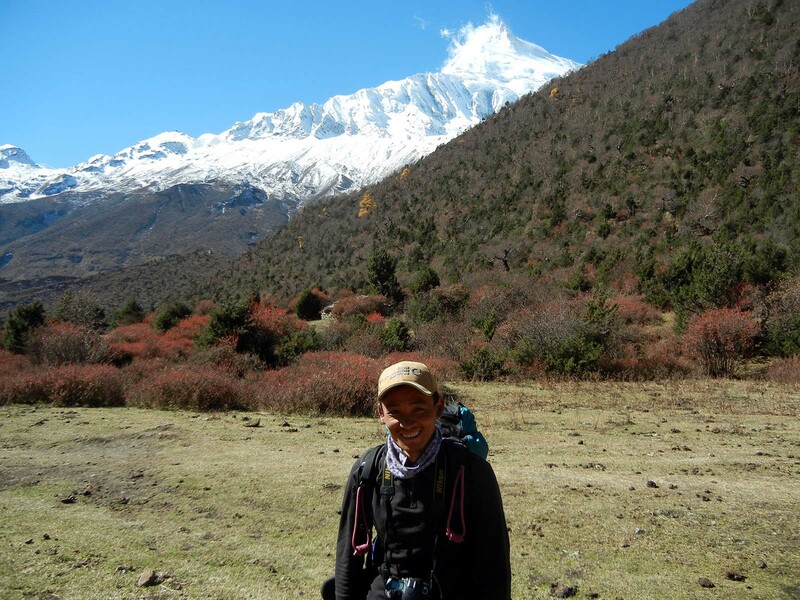 The ancient foot trail goes along the entire length of Burigandaki River, so we can hear the river as we hike its banks. Despite the variations in landscapes, we will see small villages, farmlands along the riverbanks and mountain slopes. We will hike through open space and narrow gorges on again and off again until we reach Lho village. The sheer rock cliffs, waterfalls, and the river valley evergreen scenery is part of the experience on this trail. 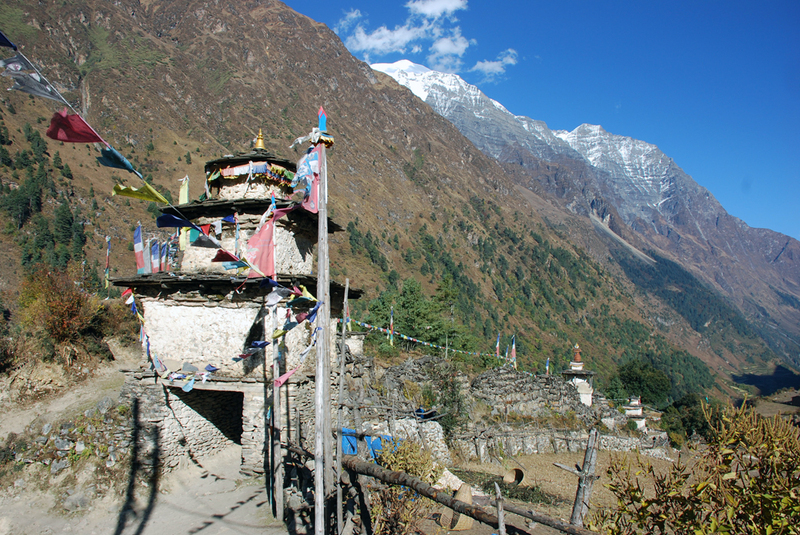 Sama Gaon, located below the majestic peak of Manaslu, is the biggest settlement of Tibetan ethnic people since time immemorial. Sama is amazingly flatland surrounded by extraordinarily beautiful peaks and scenery. 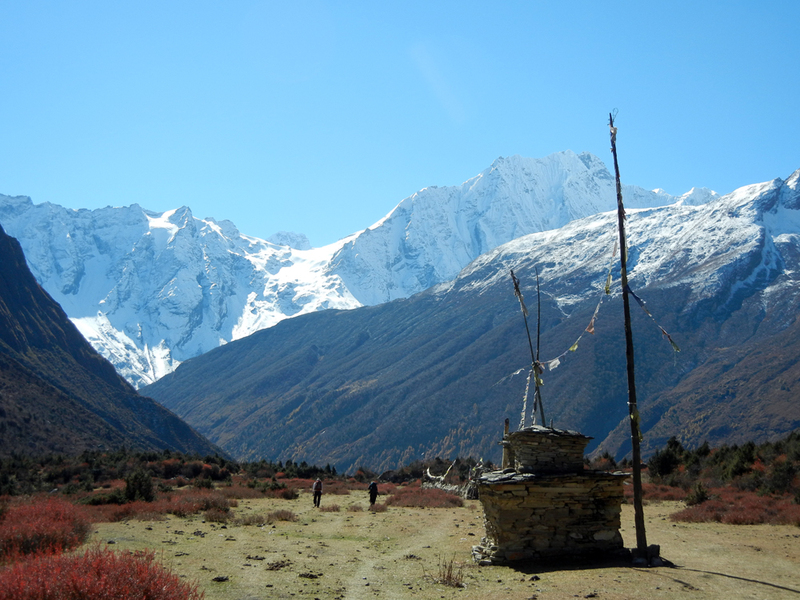 We will hike back to Sama for lunch and then helicopter flight to Kathmandu. 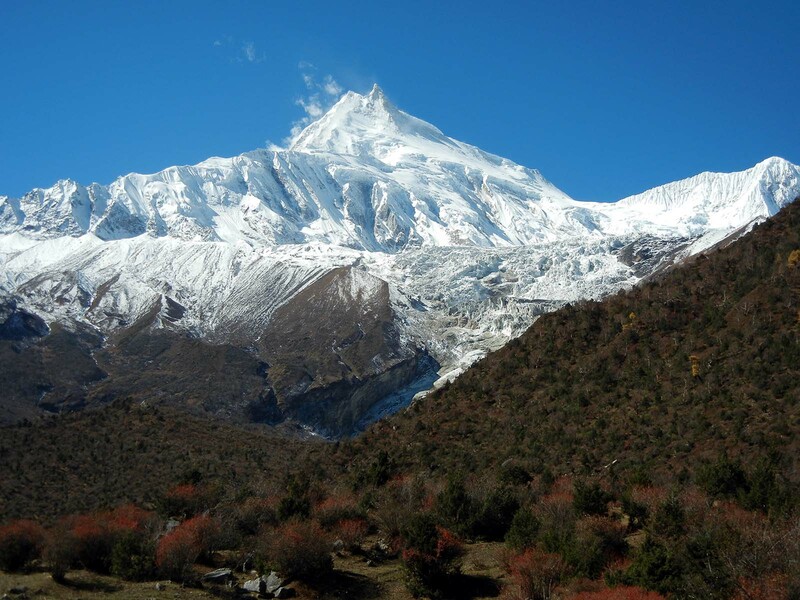 Arrive Kathmandu Airport and transfer to your hotel. Farewell dinner in the evening. Overnight at hotel / 2 nights.